Thunder Snow overcame a wide number 12 gate position, a fast pace set by North America and eventual runner up Gronkowski—and history—to win the 24th Dubai World Cup by a nose Saturday. He’s the first horse to win the world’s richest race twice, after claiming the now $12 million race last year. Gunnevera closed fast to take third place. Christophe Soumillon guided the winner. 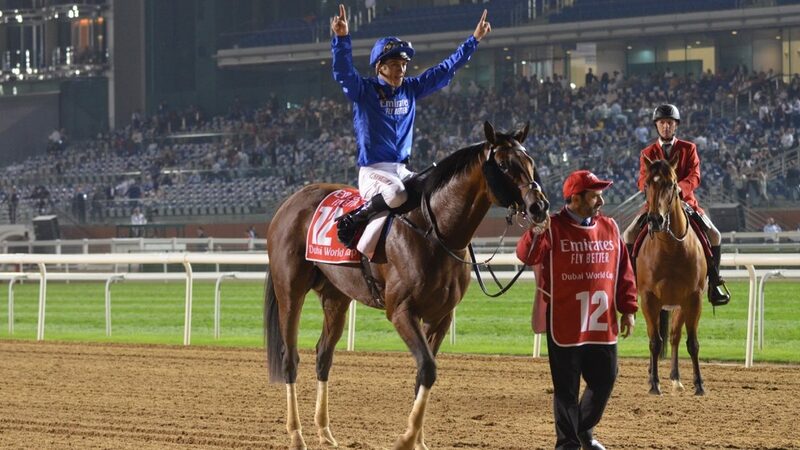 Trainer Saeed bin Suroor captured his ninth Dubai World Cup and his 191st Group 1 win. The trainer indicated a return to racing in America is his preference for Thunder Snow, perhaps this summer at Saratoga, with the eventual goal the Breeders’ Cup Classic at Santa Anita Nov. 4. The five-year-old son of Helmet took home the winner’s trophy for the eighth time in 23 starts and has now collected $16,011,850 in earnings. 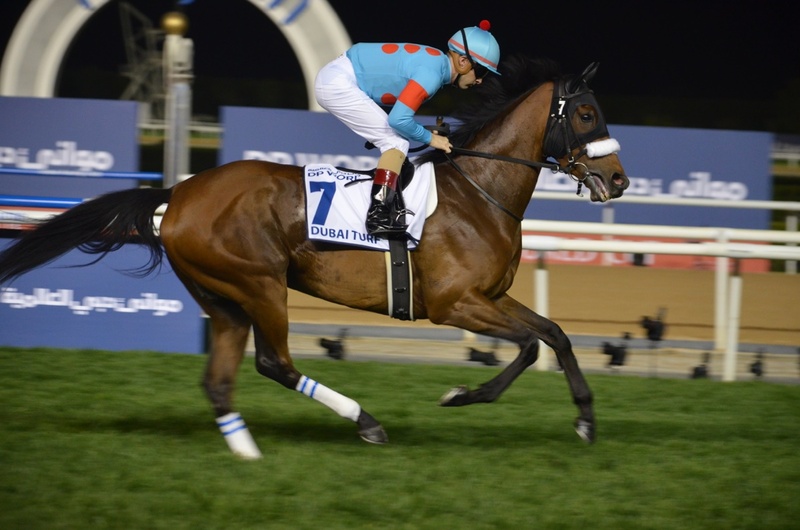 In the evening’s other most-anticipated race, Japanese superstar filly Almond Eye left the comfort of her home country, but turned in her usual stellar performance to win the $6 million Dubai Turf. It was fifth consecutive Group 1 victory for the four-year-old daughter of Lord Kanaloa, winner of the Japan filly Triple Crown and the Japan Cup. Her connections will take her next to Europe, targeting Paris and a Prix de l’Arc de Triomphe showdown with two-time Arc-winning filly Enable. Overall, hometown Godolphin owned the night with victories in four of the eight Thoroughbred races. American runners corralled three wins. The evening’s other winners were: AF Maher, Dubai Kahayla Classic for Purebred Arabians; Coal Front, Godolphin Mile; Cross Counter, Dubai Gold Cup; Blue Point, Al Quoz Sprint; Plus Que Parfait, UAE Derby; X Y Jet, Dubai Golden Shaheen; and Old Persian, Longines Dubai Sheema Classic.